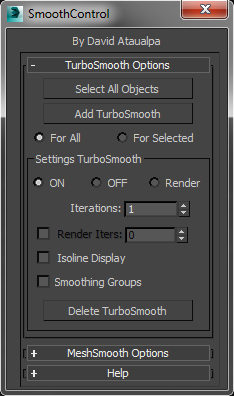 This scripts help management multiples Turbo Smooth Modifiers. I am a designer and this is my first max script. I hope you like it.